In ANZ Blue Notes this month, Ana-Marie Lockyer, ANZ's General Manager Wealth Products and Marketing New Zealand, explores 'Weather the Storms', the theme of New Zealand's recent 2018 Money Week, and explains the importance of financial resilience. We are now proud sponsors of the Independent Schools of New Zealand. 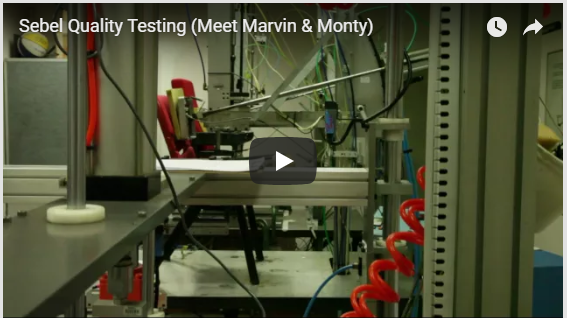 Which Sebel chairs now have a 20 year warranty? Distinction has over 18 years of extensive furniture experience, providing the perfect balance of quality and value, along with innovative solutions for today’s schools. We cover all areas of the school – classroom, ILE, staffrooms, libraries and other specialist areas. We work alongside leading manufacturers and suppliers to deliver a large range of products to suit your project. We ensure we listen to what you want to achieve and supply the products that deliver your vision. Our mission is to supply quality made products and to have the very best outcome for our clients. At Distinction we always strive to do better. Customer Service is one of our specialties. We have a dedicated team who ensure all orders are fulfilled and followed through. We want the whole process from beginning to end to work for you, making your experience with Distinction a positive one. We design and create innovative bespoke furniture to suit and compliment your everyday changing needs. We can offer a contracted price for a set amount of time. This ensures your budgets can be adhered to while still receiving our quality products. Offering the best price for quality and guarantee. Continually design innovative bespoke products to compliment your needs. Sponsor and support many education associations, independent schools and others. Offer a negotiated package that works for you over a period of time. Our classroom and other furniture arrives fully assembled and delivered to your specific areas. Your account manager will be on-site for sizeable deliveries to make sure everything runs smoothly and will continue to offer support. Quick ship stock items for the one off orders. 3D drawings for layout of furniture. Delivery is approximately 15 working days on the majority of our items, unless specified. Distinction website offers a variety of products to choose from. Exclusive authorised dealer for Sebel school educational products. OfficeMax has everything your school needs, and a little bit more. OfficeMax will save you time – receive one order, one delivery and one invoice for all your school supplies. Technology by you, for you. Are you ready to transform your school? Over the last ten years, the team at Schoolbox has been committed to helping hundreds of schools meet their community requirements and project manage the creation, launch, and ongoing maintenance of their school portal and learning management system. Our product undergoes continuous evolution to reflect changes and improvements in pedagogy and technology innovation. 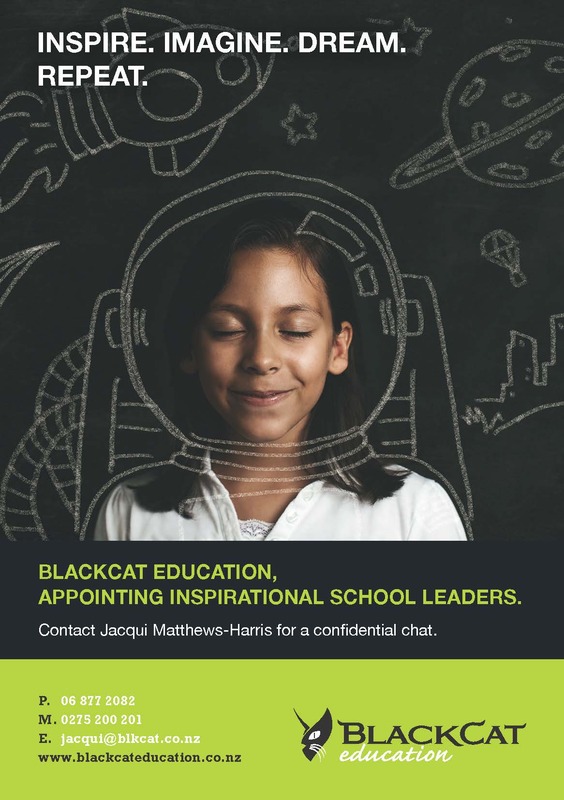 A big part of this is to support student wellbeing, empower parents to be involved in their child’s learning journey, and alleviate administrative pressures on educators to allow them to focus on teaching. If you would like to find out our key insights into what makes for a successful school portal, read the full article on our website. We recognise New Zealand schools are at the forefront of innovation in education, which is why we’re constantly looking for ways to collaborate and improve our support in the region. 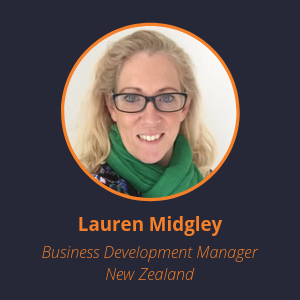 We recently took part in the Educate Plus conference in Auckland to develop our knowledge of the New Zealand market and your unique school requirements. It was great to connect with various school stakeholders and discuss how technology can address some of their biggest education requirements. 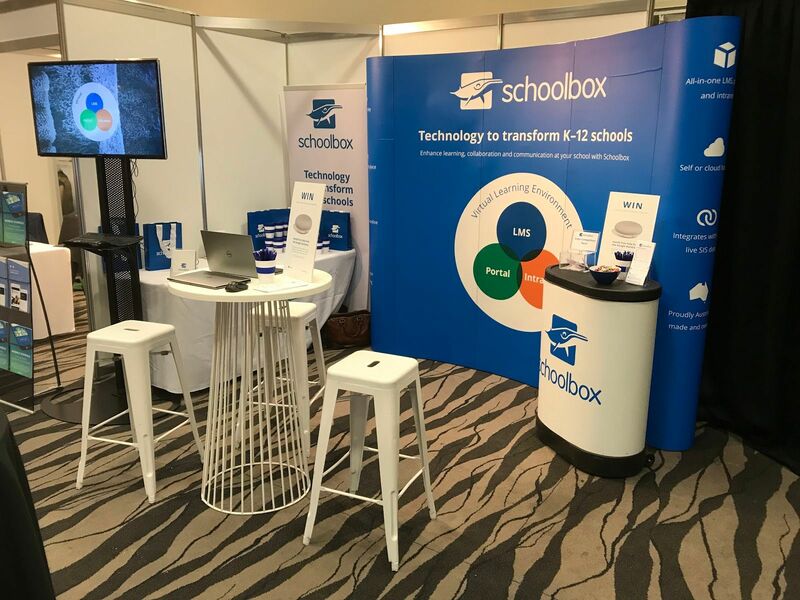 We also hosted a User Forum for our New Zealand schools, where we discussed how technology can be meaningfully adopted into the classroom and encouraged conversation around the future of education, as well as Schoolbox best practice. If you would like to know more about our New Zealand community, head here. For upcoming events in the New Zealand region, keep an eye out on our website or contact us to find out more. This year’s theme ‘Cambridge – Today for Tomorrow’ reflects the value of Cambridge International’s approach to curriculum design, learning and assessment and the underlying research behind our education model. Dr. Tristian Stobie, Director Education of Cambridge Assessment International Education will consider the current curriculum battleground and what are the fundamental principles schools need to consider when designing and implementing an effective curriculum. Briar Lipson, a Research Fellow at the New Zealand Initiative will consider what the evidence tells us about the underpinning principles and practical realities of NCEA. David Mansfield, Executive Headmaster Y.K. Pao School in Shanghai and former Cambridge Director will share his perspectives and wide-ranging experiences on what enhances teaching and learning in schools. 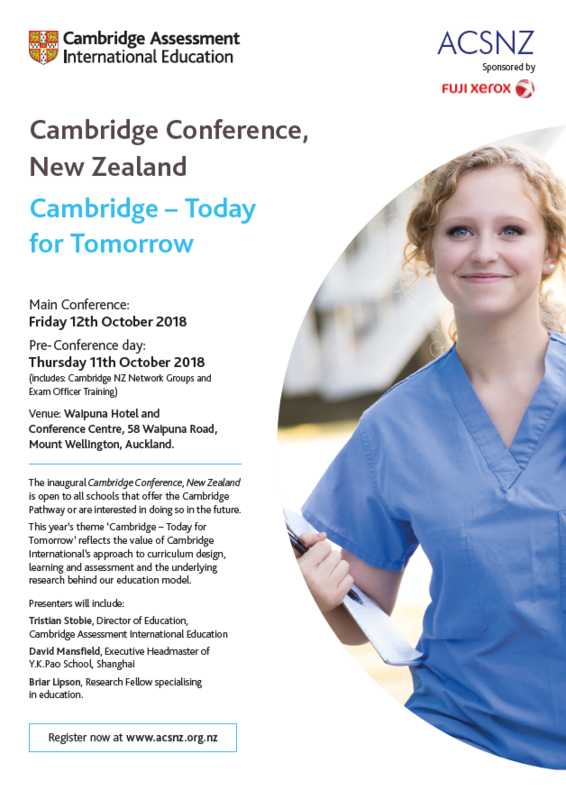 The inaugural Cambridge Conference New Zealand is offered in partnership with the ACSNZ and is open to all schools that offer the Cambridge Pathway or have notified Cambridge International NZ that they are interested in doing so in the future. What are the 3 ways EZYPAY can benefit your school and parent community? Give parents the freedom to sign up to a flexible payment plan on any device, 24/7. Ezypay provides paperless direct debits, Visa, and MasterCard options, giving parents the choice of how they pay. Relieve staff of the manual duties around lodging authorities and chasing parents for payment. Our cloud based subscription payment platform offers educational institutions a paperless solution to automate recurring direct debit payments. The Ezypay platform is PCI DSS (Payment Card Industry Data Security Standard) accredited, ensuring all your parents' debit and credit card handling, billing and payment processing are achieved at the highest level of security. Helping you to manage parents' recurring payments the easy way! To discuss how the Ezypay solution can benefit your school, please get in touch with Ezypay on 0800399011 or via this link. Whether your school has never had a negative medical or security incident during a school trip or is familiar with the risks associated with travel, make sure you are protecting your staff and students. 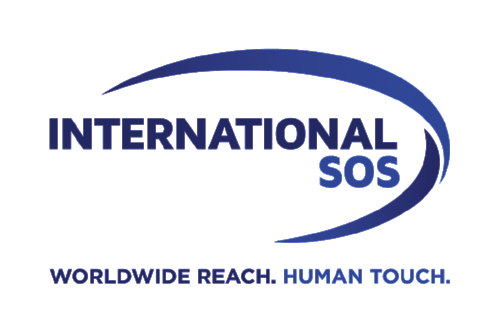 International SOS recently hosted a webinar to help schools mitigate medical, emotional and security risks whilst supporting the well-being of their staff and students overseas. As an ISNZ subscriber, access a complimentary recording to hear more about the experiences that led Scotch College and Pacific Hills Christian School to bring on medical and travel security experts and best practice tips from our regional medical and security directors. Holidays Act Taskforce - what do you need to know? Simpson Grierson continues to work with many employers on Holidays Act issues given the complexity of the current legislation to interpret and apply. In response to widespread issues and concern from employers stemming from the Act, the Minister of Workplace Relations and Safety established the Holidays Act Taskforce in May 2018 to review the Holidays Act and recommend changes. The review will not consider the issue of remediation of historical underpayments of holiday and leave pay. Any new regime is likely to be two to three years away and, in the meantime, employers have an obligation to remediate workers for historical underpayments, and to pay employees correctly according to the current law. MBIE and the Labour Inspectorate will continue to provide support and engagement on these issues to assist employers. additional suggestions or proposals for change. In a recent Employment Relations Authority decision, A Teacher v A School Board of Trustees, the Authority determined that a relief teacher could not bring a claim for unjustifiable dismissal. This was on the basis that the relief teacher was not an ‘employee’ for the purposes of the Employment Relations Act between engagements by virtue of his casual employment status. there was only work for the applicant if a teacher was away. they were on the books of at least one other school as relief teacher.